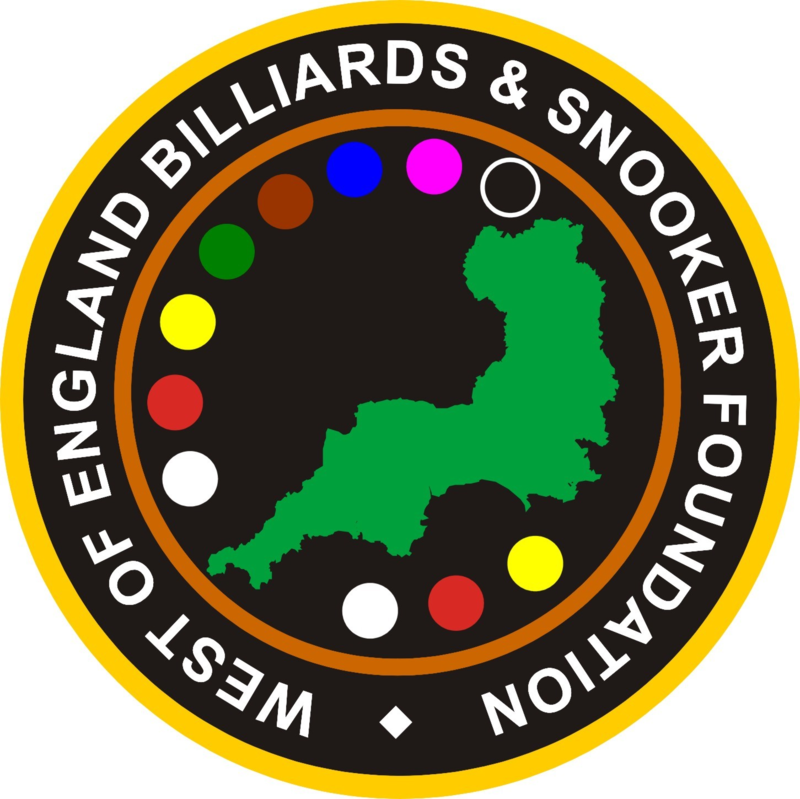 The West of England Billiard & Snooker Foundation recently took four of their Plymouth based junior players (Haydon Pinhey, Cody Hall, Christopher Coumbe & Adam Lewin) to compete in the English under 14’s championship Qualifiers at Chandlers Ford snooker club in Hampshire. Coumbe and Hall where drawn in the same group and the match proved to be a real battle lasting 2 hours 10 minutes. Coumbe the victor, winning all 3 close fought frames. Hall put up a spirited fight taking Coumbe to the final black, the last frame to a re-spot! Due to the time taken to complete his first match Hall did not get a break before his next match against Richard Hughes. A fatigued Hall adopted a safety play strategy in an effort to hold Hughes who is a very quick attacking player. However, this tactic proved ineffective on this occasion as he lost 3-0. In Hall’s final group match he faced Jordan Winbourn, again the outcome went against Hall, losing both the first two frames on the black. Hall’s spirited play earned him chances to win and on another day the black ball frames might have gone his way. As always Hall was seen to be smiling to very end. Pinhey was drawn against Arkin Chandarli. Pinhey took no time in racking up a 3-0 win and had time to check out the other opposition in his group. Lewin was drawn against an in-form Sean O’Sullivan who had a 49 break to win the first frame after which he went on to win the match 3-0. Next up for Lewin was Cahandarli, Lewin still full of confidence, despite losing his first match, put up a fine performance and saw off Chandarli 3-0. The match between Pinhey and O’Sullivan, both winners of their first round matches without dropping a frame, would determine who was going to qualify for the finals later in the year. O’Sullivan proved too strong for Pinhey on the day, taking all three frames to win the group. This meant that there would be a tie break between Pinhey and Lewin to decide the second qualifying spot. Pinhey took the upper hand by winning the first frame only to see Lewin come back and win the second to draw level. The final frame turned out to be a nail biting contest with the miss rule instrumental in levelling the frame score with just the colours remaining. After sharing pots it came down to a black ball shot out. Pinhey pulled of a tremendous pot with the rest to take the match and book a place in the finals. Coumbe with one win in the bag lost his next match 3-0 to Jordan Winbourne. Coumbe had to win his last match if he was to qualify for the finals. Hughes was his opponent and the match went to the wire! With the match level at one frame all the final frame went to yet another black ball finish. Coumbe was faced with either safety or a risky double to take the last qualifying place. Without hesitation Coumbe went for broke and brought the house down as the black hit the middle of the pocket to win the match and join Pinhey as the other WEBSF qualifier. All players gave their all and in good spirit. Good luck to Coumbe and Hall in the finals in March 2008.